Contact ABC’s Membership Director today for more information! Growing your company has never been easier. From business leads and referrals to the industry’s leading awards programs, ABC offers tools and programs to help its members develop business opportunities and promote company achievements and capabilities to potential clients. ABC actively works with all levels of government to represent member interests and the merit shop construction industry, and promoting Free Enterprise. Fortune magazine has recognized ABC’s efforts in Washington, D.C., by naming the association one of the “most influential” organizations in the United States. ABC delivers programs that equip construction professionals with the knowledge and skills needed to improve their productivity and safety, and advance their careers. 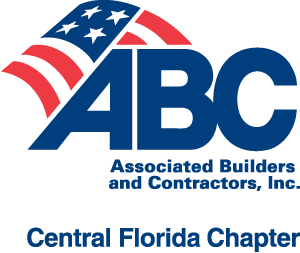 ABC provides a wealth of resources to assist contractors in staying current with the industry-related information they need to make informed business decisions. In addition, ABC provides communications leadership and support by working closely with the news media to communicate the industry’s positions to policy makers, owners, educators and the public on a wide range of public policy issues. National information can be found here.